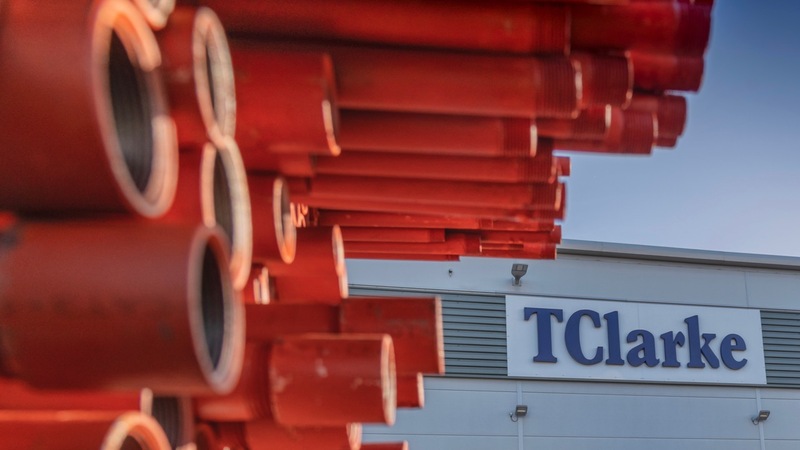 TClarke plc (“TClarke” or the “Group”), the Building Services Group, today issues a trading update for the period from 1st July 2018 to date. We stated at the half year that the Group had experienced a strong first six months of 2018 and the results delivered were in line with expectations. We are now pleased to report that the Board expects results for the full year ending 31st December 2018 to be ahead of current market expectations. We expect an underlying operating profit before interest and taxation of circa £8.6m (2017: £7.3m) and revenue of circa £320m (2017: £311m). The implied underlying operating profit margin of 2.7% provides further evidence that we are on track to achieve our target of 3%. Our established strategy is to selectively target projects that we believe will add value and strengthen the margin profile of the Group. The Board is encouraged by the continued opportunities available to the Group which meet our tendering criteria, suggesting that there remains a strong demand for our services and our approach, particularly on high profile projects from clients who value our ability to deliver large, complex projects successfully. This is reflected in our forward order book which has grown by 6% year on year and now stands at a record £403m against £380m at the same time last year. Looking ahead, revenues of £230m for 2019 have already been secured, against an equivalent figure of £190m at this time last year. We have recently opened new offices in Liverpool and Manchester. Building upon the Group’s established relationships, bids totalling £40m have been submitted across a range of projects. To support our growth ambitions and strategy we have agreed new banking facilities on improved terms. The new facilities comprise a £5m overdraft facility, repayable on demand, and a £15m revolving credit facility expiring 31st August 2022. This update provides clear evidence that the Group’s strategy is working and underpins our confidence that our underlying operating profit margin target of 3% is attainable in the near future. The strength and reputation of TClarke is evidenced by our record forward order book. We have maintained our market leading position in our traditional markets whilst securing Technology driven projects, where project complexity and specification levels play to our strengths. We approach the new financial year in excellent shape, both operationally and financially.